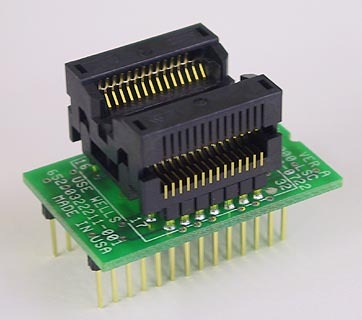 SOIC Programming adapter for 28 pin SOIC packages. Body width 7.4mm - 7.7mm, lead pitch 1.27mm. 600 mil span DIP plug.